As I think about teacher appreciation week which ends today, a statement that I have made to students and teachers over the years keeps replaying in my mind: “Be great.” Some may see this as a trite, simplistic, idealistic or naïve statement. But isn’t that what we are called to do? There’s far too much mediocrity, there are too many content with doing enough to just get by. But our students and our community deserve a commitment to greatness. Great schools are more than books, buildings or benchmarks; they are more than standards, schedules or software. While curriculum, assessments, field trips, Socratic Seminars and individualized education plans all make a difference, they do not determine the greatness of an institution. Great schools are always about people – who work together with a common vision and great faith. Study after study shows the single most important factor determining the quality of the education a child receives is the quality of his/her teacher. Great teaching can change a child’s life. That kind of teaching is a remarkable combination of art, science, inspiration, talent, gift, and — always — incredibly hard work. It requires relationship building, subject expertise and a deep understanding of the craft. Celebrated athletes and performers have nothing on our best teachers. Teaching and learning are not mechanical processes but deeply human ones that call upon not just our minds but our hearts and souls. 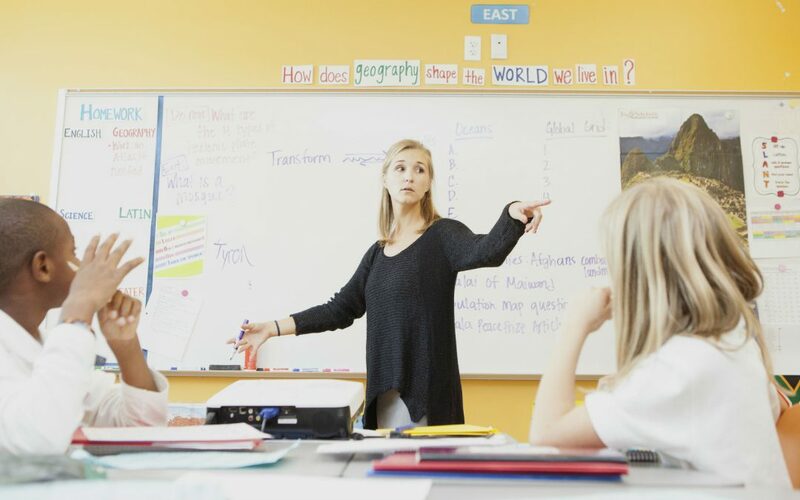 Great teaching requires teachers who can fully show up day-after-day and year-after-year, cultivating their own identity and integrity in the face of both heartbreaking challenge and exhilarating success. We have the capacity for greatness because we have the cornerstone already in place – great people. These are people who demonstrate tenacity. When students don’t get it the first time, these teachers try again. And again. And again, until the students do get it. They don’t give up; they figure it out. Some sacrifice lunchtime, coming in early and staying late, working tirelessly with students one-on-one or in small groups. These are people who show humility. They quietly work miracles in the classroom every day, asking for no recognition, and rarely receiving praise. It is often a thankless job, but they do it anyway. They love children and selflessly give them their very best each day. Only a great teacher can transform the illiterate into expert readers, the ignorant into life-long learners, struggling, self-doubters into scholars. To those who dare to be great, thank you for all that you do for our children. You make our lives richer because of it.